Following a soft reveal at the E3 video game conference in Los Angeles, Porsche took to the 2017 Goodwood Festival of Speed to unveil the 2018 911 GT2 RS. In the process, the 2018 Porsche 911 GT2 RS becomes the most powerful 911 street car ever built. With 700 horsepower and 553 pound-feet of torque on tap from a twin-turbocharged 3.8-liter flat-6, the accolade is rightfully earned. It wouldn’t be a Goodwood Festival of Speed reveal without a little bit of hoonage, though. So, that’s what Porsche did. Video from YouTuber TheTFJJ captured the 911 GT2 RS having a bit of fun at the festival of all things fast. In the video, we’re treated to a few hard launches, plenty of donuts, and a few drifts for good measure. Later in the run, the GT2 RS is joined by Porsche’s other hot and expensive 911, the 607-hp 911 Turbo S Exclusive Series. 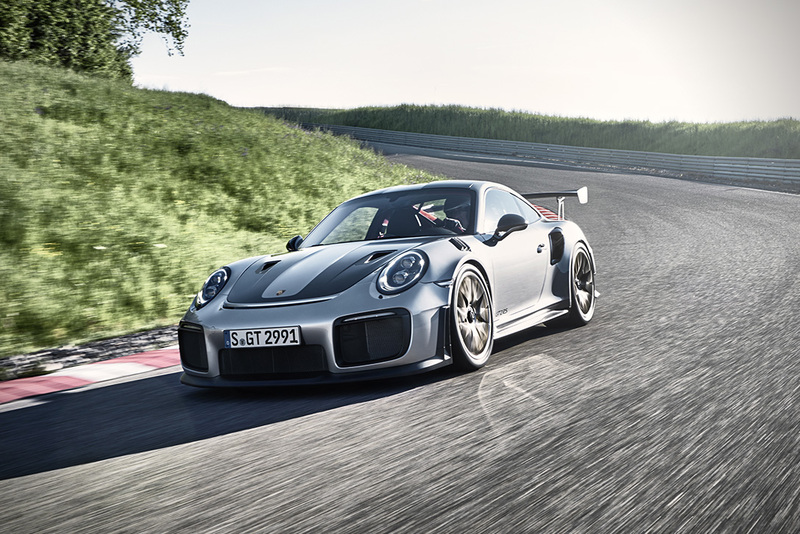 The GT2 RS sounds downright brutal with sweet, sweet sounds coming from the twin-turbo flat-6 engine. Particularly at launch, the sounds are heightened when the Michelin Pilot Sport Cup 2 325/30ZR21 tires put down every ounce of power available. They’re also the widest set of rubber ever fitted to a Porsche 911. The car was also equipped with the optional $31,000 Weissach package. The package shaves 40 pounds from the 911 GT2 RS and adds carbon anti-roll bars, magnesium wheels, and a carbon-fiber trunk lid.